Norm Cummings, former longtime editor and photographer at the Greater New Milford Spectrum and, before that, The New Milford Times, will offer a mix of his own photos, photos by his photojournalistic peers and archival historical photos of New Milford at a photograph show and program, “Reflections of New Milford,” April 4. 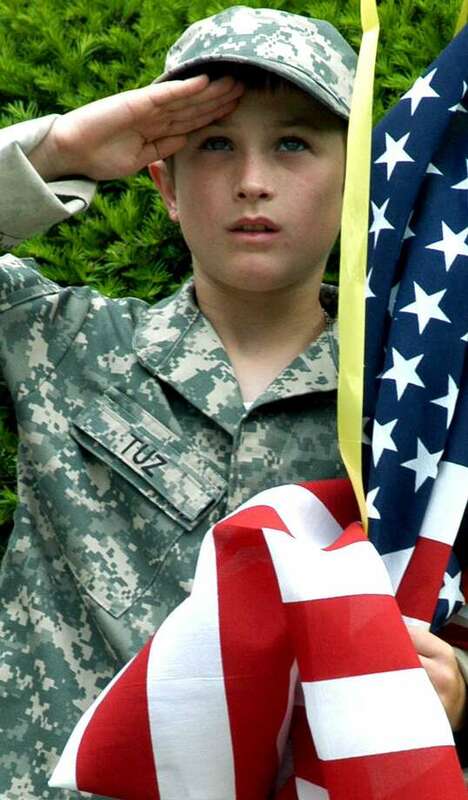 Above, Tristan Tuz of New Milford offers a heartfelt salute while serving as an honorary member of the color guard of his town’s Memorial Day ceremony and parade in 2007. A photography show and program, featuring works by Norm Cummings, will be held April 4 at 7 p.m. at the New Milford Historical Society & Museum. Cummings, former longtime sports editor and photographer at the Greater New Milford Spectrum and, before that, The New Milford Times, will offer a mix of his photos, photos by his peers and archival historical photos of New Milford. Admission will be free for museum members and $5 for non-members. For information, call the 6 Aspetuck Ave. museum at 860-354-3069 or visit www.nmhistorical.org.